Charles Richard Batte III obituary. Carnes Funeral Home. Sep 21, 2017 Dear Family and Friends, I am so sorry for your loss; along with the pain come many questions Job in the Bible asked, "If a man dies, can he live again"? (Job 14:14,15) The answer is yes! We can have the hope of seeing our loved ones again, right here on earth. (Psalms 37:29)Please accept my deepest sympathies. Charles Batte III, known as Charlie, passed away peacefully on September 16, 2017. He was born December 31, 1931 to Charles and Elizabeth Batte Jr. in Fort Smith Arkansas. He is preceded in death by his parents, his brother Frank, and granddaughter Kim Engelbert. He is survived by his wife, Norma Lee, children Karen and husband Tom Engelbert, David and his wife Lynn Batte, Amy and husband Gregg Taylor, nine grandchildren and five great-grandchildren. He grew up in Fort Smith before heading Fayetteville to attend the University of Arkansas. While there he served in the ROTC, and was a member and officer in Lambda Chi Alpha fraternity, and graduated with an Accounting degree. While at U of A, he met his lovely wife, Norma Lee. They married on August 8, 1953. He served as a Lieutenant of the Air Force for two years at Maxwell Air Force base in Montgomery, Alabama. After serving in the Air Force, they moved to the Houston area where he began his career with Masquelette & Bruhl which later became Cooper & Lybrand CPA's. He worked with the firm for several years before he and a colleague started their own firm, Havard & Batte CPA's in the early 1970s. He retired from Havard & Batte in 2002. In 2012, they moved to Katy to be closer to family. Charlie and Norma Lee were active members of Gethsemane United Methodist Church, where they were members from the early days of the church. 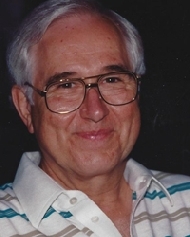 Charlie served on many committees, taught Sunday School and was a strong lay leader throughout their 50 years there. His strong faith is God was a guiding force throughout his life. Charlie and Norma Lee enjoyed travelling with friends, spending time on his boat, “The Right On”, entertaining, gardening, playing golf, photography, cooking his famous cheesecake and other specialties, and cheering on the Razorbacks. Mostly, however, Charlie was happiest when he was surrounded by his family and friends. There was no greater sight than watching him play on the floor with one of his grand children or great-grand children. He was a fun-loving, kind and generous man to everyone he met. A celebration of his life will be held on Friday, September 22nd at 2:00 pm at St. Luke's United Methodist Church at the Gethsemane Campus located at 6856 Bellaire Blvd. Houston Texas with reception to follow. In lieu of flowers please send memorial donations to the Alzheimer's Association. Arrangements have been entrusted to Carnes Funeral Home in Texas City.